As Client Relationship Specialist, Constance works closely with clients on a regular basis, assisting with various questions they may have regarding their financial accounts. She also works with multiple custodians to process client requests, such as deposits, distributions, new account processes or account maintenance. Constance has a passion for researching and analyzing data and working with clients to achieve their overall objectives. 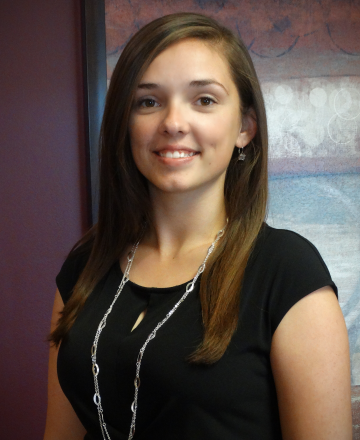 Constance has worked in the financial services industry for over five years. Prior to joining JFS Wealth Advisors, she worked as a Financial Plan Analyst for a financial advising firm in Youngstown, Ohio. She is currently pursuing her Bachelor’s Degree at Youngstown State University, where she has served as a Presidential Mentor. Constance is a Notary Public for the State of Ohio and member of the City Club of the Mahoning Valley. Outside of work, Constance enjoys spending time with her husband and their dog, Chloe, and cat, Mya. She also enjoys craft projects, attending church, volunteering with various organizations, and traveling to new places. Constance is the youngest of 11 children with an astounding 39 nieces and nephews.